Do you believe that common things can be innovative? Discover your inner potential to see a world of innovative opportunities in the ordinary life. 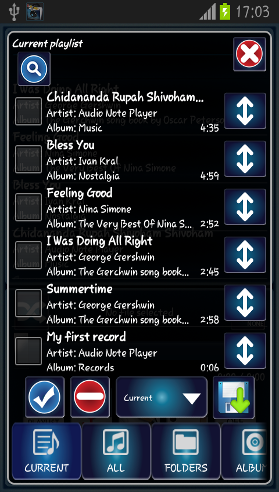 Imagine a music player that allows you to add your own notes, wherever you want. 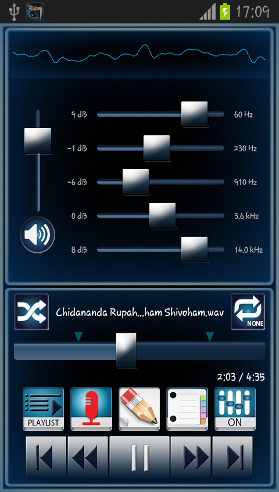 To know exactly where the best parts of your songs are and to be able to show it to your friends in a second. 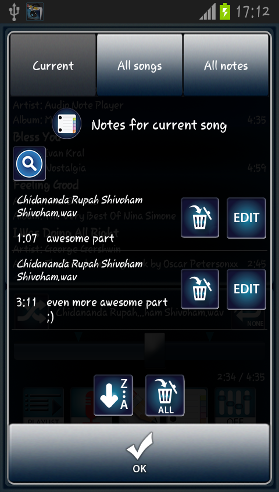 To record a song or lecture and put notes in the places where you want. 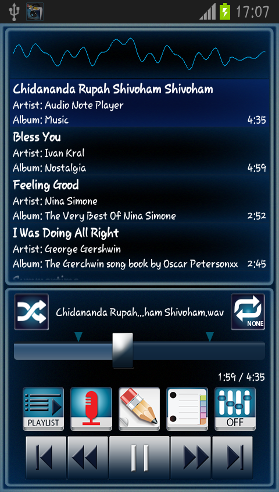 And much more.. 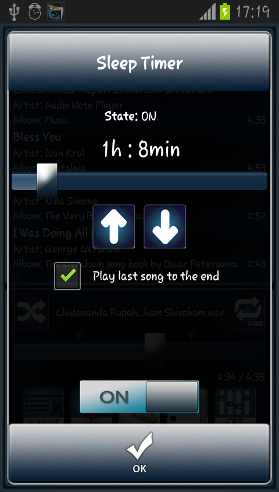 The Audio Note Player was designed for people like you. Take the first step to seeing the world of music in a different way. 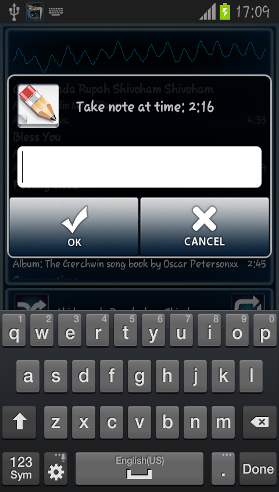 Insert your own text notes (bookmarks) to any part of any song. 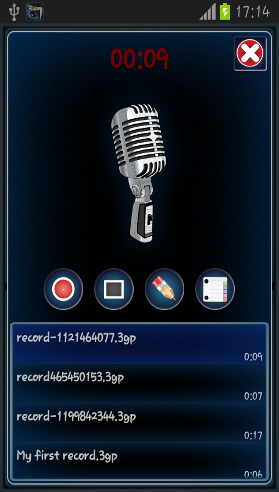 Record any lectures and put your own text comments into them. 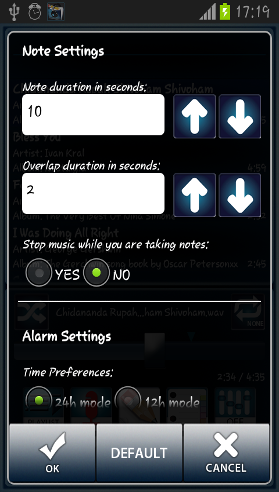 Wake up in the morning with an alarm starting to play from your text notes (bookmarks).